After an extensive period of research and development, it is our pleasure to introduce Nutrium™, our brand new line of premium turf amendment agents. Nutrium™ products were formulated to conveniently deliver highly-bioavailable nutrient sources directly to a plant’s root system, with particular focus upon reducing oxidative stress and encouraging stronger cell wall formation. 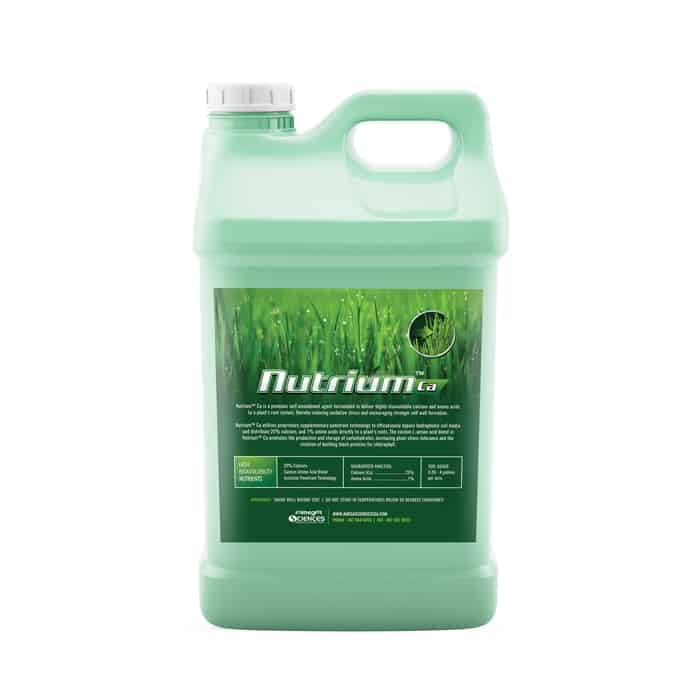 Every product in the Nutrium™ line utilizes cutting-edge amino acid technology to promote the production and storage of carbohydrates, increasing plant stress tolerance and the creation of building block proteins needed for chlorophyll. Custom-developed supplemental wetting agent technology ensures efficient and highly efficacious nutrient uptake, making application easier and more convenient than ever before.